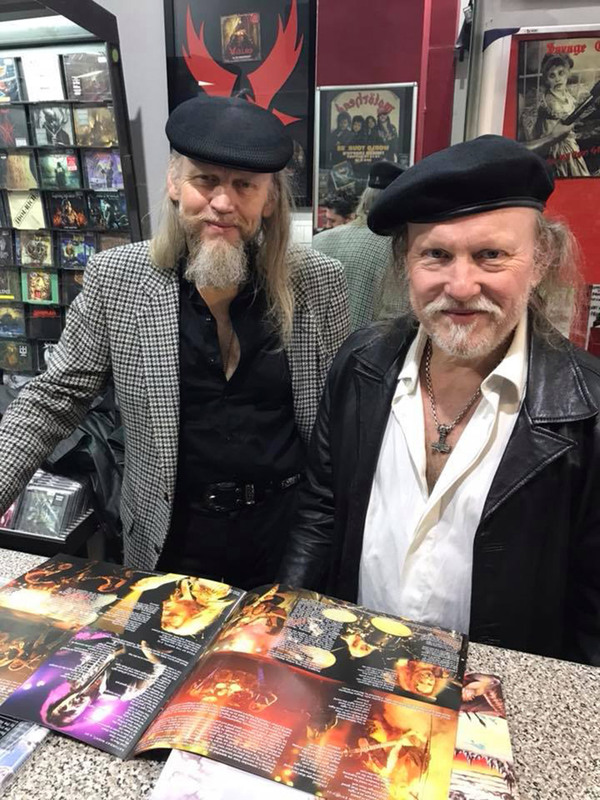 We visited the store of No Remorse in Athens and held our samples of the re-release of Stronger than Evil in our hands for the first time. They meet our high expectations in every way. It feels very good that we managed to add the bonus tracks – it was not an easy task. Some of those are old demos that never had been available for the others than our selves. Many of them had been forgotten by ourselves and were only found after arduous searches among mess of damaged things from the flood of our studio seventeen years ago. Two of those songs were never completed back in the days in the sense that both lacked guitar solos and proper mixes. This has now been done and while doing it, we were completely transported to the old days. We hope you like them as much as we enjoyed completing them. I´m Alive (Eddy M/vocals, including Andreas Fritz on bassguitar). To get the best possible sound quality on our LPs, we always tried to limit the playing time to 20 minutes per side. In the summer of 1983, when we recorded Stronger than Evil at Decibel Studios, two recorded songs had to be left out due to this limit: “Air Raid” and “I am Me”. Now, at last, they are included. The song “I’m Alive”, on the other hand, was recorded later, in 1984, in Ragne’s and Styrbjörn’s Thunderload Studios, with the new bass player, Andreas Fritz. 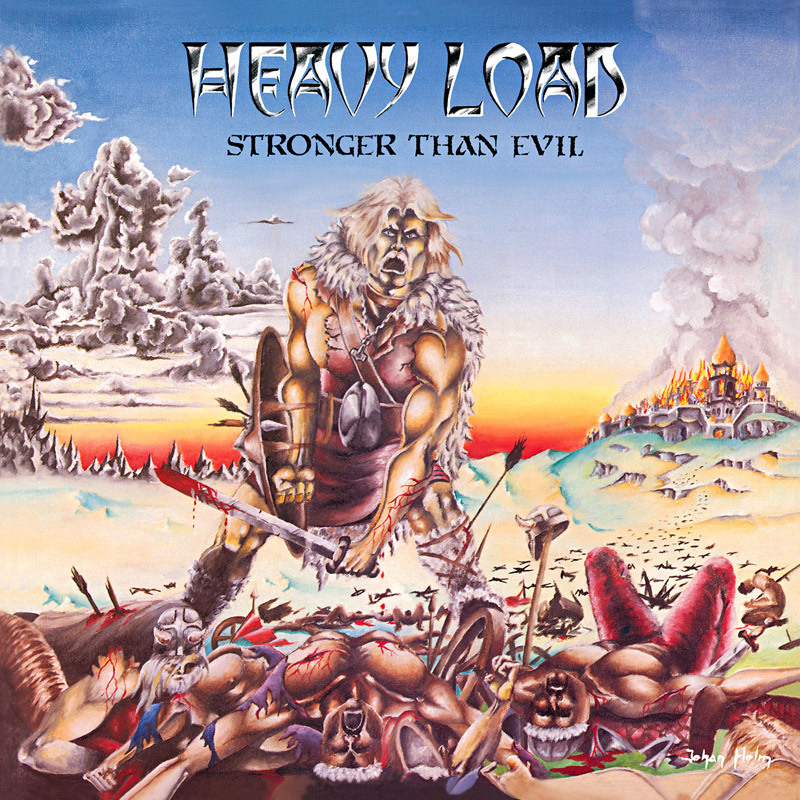 After Eddy and Andreas had left the band during the fall of 1985, we (Ragne and Styrbjörn) continued recording demos for a new Heavy Load album. The bonus track “Lionheart” is one of them. “Day of Dream” on the other hand, is an earlier demo, from 1982. Neither “Lionheart” nor “Day of Dream” had guitar solos or proper mixings; now finally, they are completed . 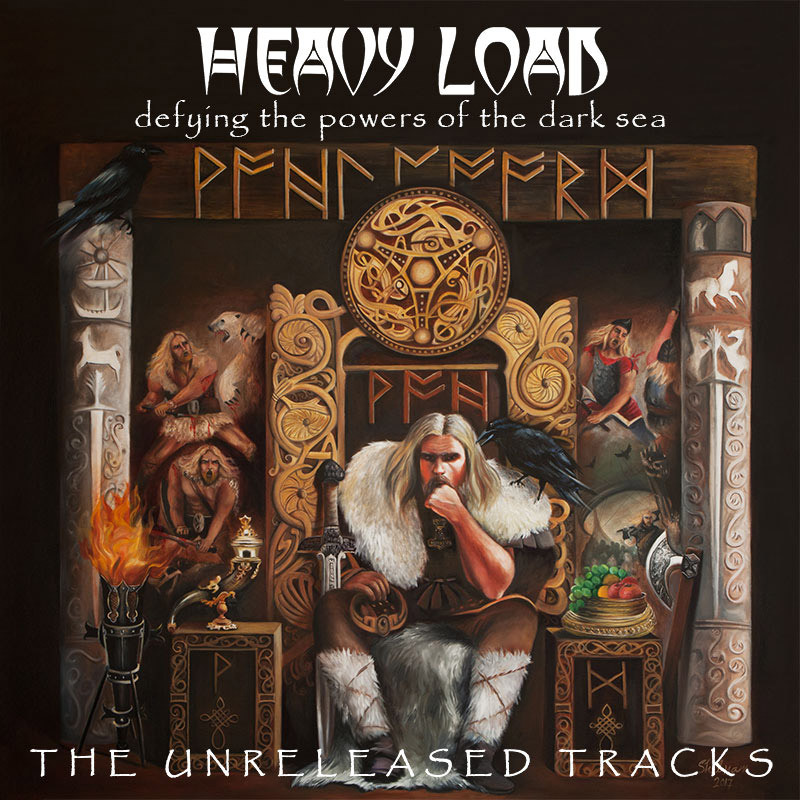 And then there is “Sleipnir Unleashed”, the drum solo; it was recorded 1983 at Thunderload Studios.
. . . more to read in the booklet of the re-release. Ragne: On finding the most developed version, we discovered that there was no guitar solo. It was recorded in February 2017, my first recording in 17 years. It was a sensational feeling to play to Styrbjörn’s majestic drumming. Having the guitar in my hand again, triggered some very strong emotions that had been hidden in the depth of my soul for years. The emotions and thoughts about harmonies and melodies that flew through me felt so good. I tried to pick up the feelings from the days when we recorded the song and at the same time add a new dimension. Styrbjörn: I remember clearly how the staccato riff came to me while fooling around in solitude with a guitar. Almost instantly, the accompanying whip crack on a china cymbal and the vocal melody with significant parts of the lyrics imposed themselves upon me too. The story is a sibling to those of “Singing Swords” and the earlier (never released) “Dying is Losing”. Ragne’s excellent guitar arrangements on the verses, the theme on the slower parts and his very emotional solo make this song really come alive. Styrbjörn: In order to meet the impending tours to which we had committed ourselves, we often had to work round the clock. The drum track of “Air Raid” was recorded late at night. I remember the suggestive feeling of the studio being a bomb shelter above which the bomb planes were raging in the sky. The surreal nightly heat was suggestive of a firestorm. Eddy: Actually, it was also the power of suggestion that inspired me to compose the song in the first place. The air alarms of Stockholm are tested the first Monday of each month; these occasions called forth the lyrics and the eerie guitar riff. As a result, the song is set off by an air alarm too. Ragne: When I play this song I get the feeling of ancient tales with dragons in the sky attacking with dark powers and fireballs and folks seeking shelters and heroes taking the fight.